Founded in 1983, Steelite has a wealth of experience producing premium quality catering crockery that is every bit as durable as it is attractive. At Pattersons, our selection of Steelite products includes their stunning and aptly-named Simplicity range, as well as Monte Carlo, Monaco, Koto, Bianco and Terramesa collections, all of which are very well suited to life in busy catering establishments. Offering the perfect platform for creative food presentation, Steelite crockery combines exceptional performance and unique style to enhance the dining experience and showcase dishes for everyday use. 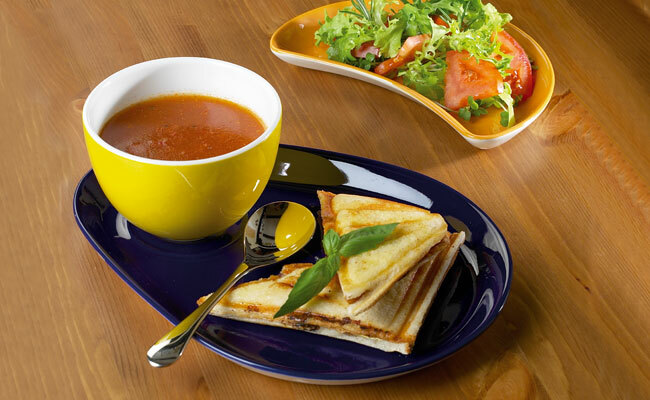 Our Steelite International range of crockery will cater to your individual style. Whether you are looking for Steelite White Crockery or Steelite Craft Crockery – you will find every crockery requirement here at Pattersons. Discover our extensive catering crockery department, with tableware sets from other leading brands such as Churchill China and Royal Genware. If you have any questions about this Steelite Catering crockery set or about any of our wholesale restaurant crockery, contact the team at web@pattersons.co.uk.